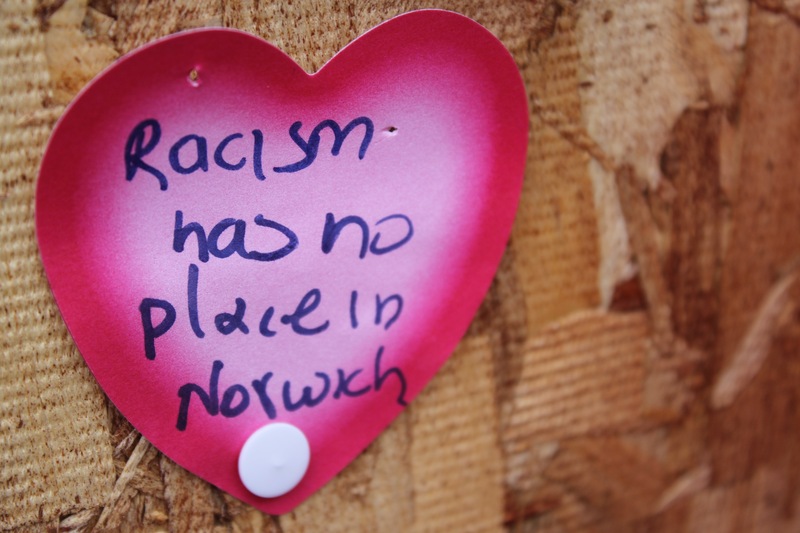 Posted on August 2, 2016 by Norwich Radical	in Community and tagged Brexit, british politics, Community, EU, EU referendum, freedom of movement, interview, media, migrant, migrant crisis, migration, norwich, opinion, opinion piece, politics, racism, uk. Norwich residents came together last month to show support for migrants after a Romanian shop was set fire to. On the same evening Norwich held a rally in favour of staying in the EU. The division was palpable that night. But the reality is that there are no two clear sides to the debate—there never was, even if the mainstream press had us believe it. This was why I interviewed Eleni and Jo, both Norwich residents, both friends, both PhD students from UEA, articulate and informed. Eleni is a Greek; Jo is British. But both feel very differently about the referendum: Jo voted Leave, and while Eleni did not have a vote to cast, she feel strongly that the UK’s decision to Leave was the wrong one. I am a British woman having lived in Norwich on and off for 12 years. I voted Remain, but I couldn’t tell you why exactly. In the sunny courtyard of The Playhouse — Norwich’s favourite bohemian hang-out — we talked openly about our differences. I believe we are guilty of a collective historical amnesia: the British Empire took so much, and has given barely anything back. Migration in Britain during the campaign was seen through a European lens — the freedom of movement to work. I believe we are guilty of a collective historical amnesia: the British Empire took so much, and has given barely anything back. Listening to Eleni I was, for the first time, ashamed of where I live. Ashamed that a person coming here to study would be made to feel like that. This was a protest vote, and maybe some people finally felt heard. 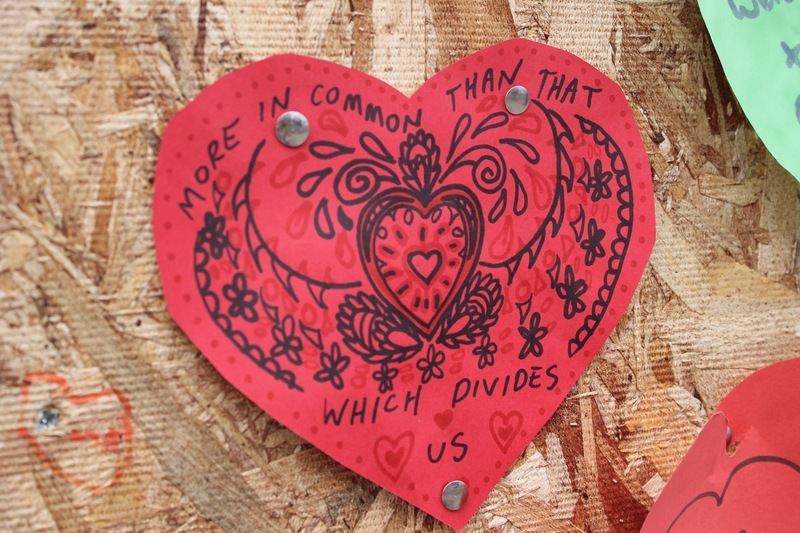 The local press in Norwich (including myself) has been proselytising about the city’s heartening support for EU migrants following the support rally after the Romanian shop fire. I was interested in what Eleni’s take on this was. “I have been going to protests much of my adult life,” she said, “but this one was about me.” I sensed hesitation in her voice. “Everyone said it was such good attendance, really? There was about 100-150 people. It was really disappointing. There were many people from the LGBTQ community, and other EU migrants there. It was marginalised groups coming together. These are my allies, I thought. These are the people who are on my side.” The Norwich Stays rally saw over 1,000 people gathered on the steps of city hall. So why weren’t they all there? Some argue that the referendum has revived politics from the stale decades that preceded it; people are finally engaged again. “People are enjoying the ferment,” said Jo. But the ferment feels doom-laden, like a train veering off its tracks, hurtling, irrevocably, towards collision. Brexit pivoted on a moot point — hypothetical realities none of us could predict with any real certainty. Everyone who voted was duped one way or another. The British media was complicit in oversimplifying the narrative, willingly polarising the arguments. This is why it is vital that we continue the dialogue, and attempt to untangle the reality we live in so we can find a united way forward. The 56% and the 44% in Norwich are by no means united in their dismay or elation at the result. Numbers are reductive. So let’s hear one another, one by one if that’s what it takes. All power to your anti-brexit arm. I will be pleased to help in any way I can – I’m 80+ so demonstrating is difficult. My own slant on the whole disastrous referendum and the way that priviledge fanatics in Westminster have seized on it, is it stems from the deterioration of political thought in an institution that refuses to reform itself.